How to get the actual and not by-weight prices for Antique Sterling Silver Trays? 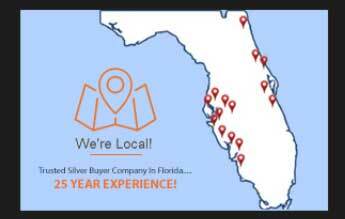 We at Antique Silver Buyers have an OPEN SHOP At 1350 W Bay Dr, Largo. You can also Call Us On 727-656-2504 or Contact Us to fix an appointment. If you’re planning on selling your antique sterling silver trays, you want to make certain you get the correct value for your pieces. 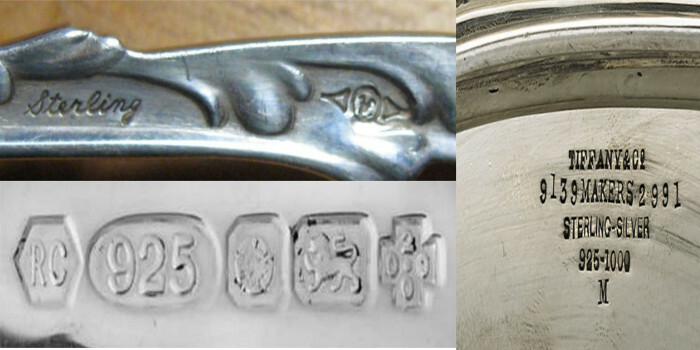 There are two different types of prices for silver: the actual value of the piece and the by-weight value. There is often a very wide gap between these two prices, too. So how do you determine which is better? 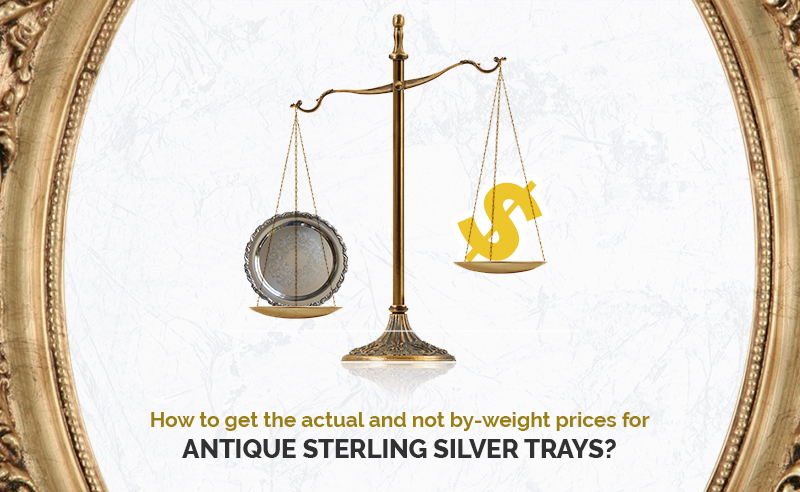 The by-weigh price is literally how much the silver that makes up your antique silver-plated trays is worth. If you took the trays, melted them down, and sold the silver, this is the price you would get for it. It’s determined by weighing the piece in Troy ounces. One Troy ounce is .911 of a U.S. ounce. For a tray that is pure silver (at least 92.5% silver), the price per Troy ounce is around $16.00 as of March 2018. Say you have a silver tray that was made in the early 1800s. You could melt it down and get a little bit of money for it, true. However, you would be losing a lot of value. The tray is likely worth much more to silver tray dealers. If it’s a rare find or in outstanding condition, you’ll get a lot more money for it than if you sold it for the silver. So how do you determine what silver tray buyers are likely to pay? There’s not an easy formula for figuring the actual value. Instead, you have to do some research. You need to examine the tray and determine when it was made and who made it. Then you need to research and determine how rare the piece is and if there’s a major demand for it. You can see what other people have paid for similar trays, too. This research should help you determine exactly how much the tray is worth to collectors. We offer free antique evaluations & antique appraisals. You can upload a maximum of 5 images and the total size of all attachments should not exceed 15 MB.